"Dangerous storms unleash hail and powerful winds on the Three River Region, and an ancient druid speaks of curses. A group of adventurers are suspected lost in the ruins, possibly fallen to the curse, and the townsfolk are worried it will never end." 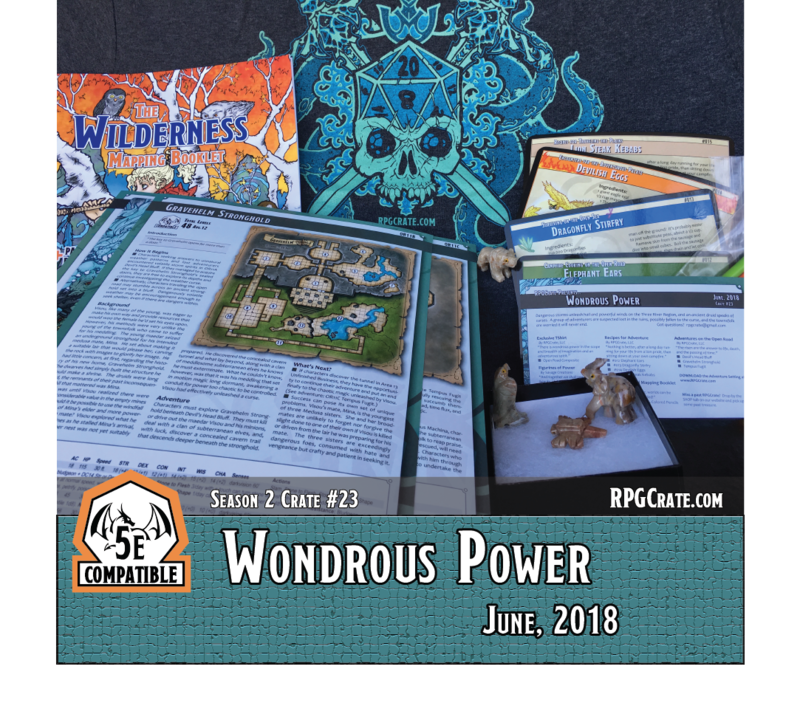 We added an Outdoor Mapping Booklet with a set of colored pencils so you can get your map on, four Recipe for Adventure cards, and a set of four hand carved stone figurines of power. The figurines come packed in a beautiful glossy black box. Also included are the three adventure cards and an amazing art composition by Chet Minton for the shirt illustration.